That's a great idea, and shows a tremendous amount of work. Well done! I would suggest using cap logos for the Yankees, Dodgers and Tigers; those blue versions disappear against the background (and the white Dodger notches should be transparent). And I would be cautious about trusting the mothership too much - some of the logos you've got there aren't accurate. One final thought - the Federal League wasn't a major league, though they wanted to be. Not sure I'd include them. Hope this comes off as constructive criticism, because that's how it's intended. I think you've got an amazing start here. Thank you! This stuff will help. I wasn't sure on those Dodger logos. Anyway, the chart is great. The only thing I could suggest is to account for changes in team colours, for example with the A's, the White Sox, the Marlins, and a few others. The Federal League was indeed a major league. No, it wasn't. A committee in 1969 decided that it was when they were drawing up the first edition of The Baseball Encyclopedia. But the Federal League was not recognized as such during its lifetime. The Feds did want to become a third major league, and indeed some teams were able to draw a couple dozen major league players away from their AL and NL clubs. But you wouldn't suggest that USFL teams magically joined the NFL when they signed the top draft picks out of college, or when established players jumped to the new league. We would take it as a given that the NFL is the only entity that can decide which teams are part of its organization, and thanks to the actions of the Federal League itself, it was conclusively established that the National and American leagues controlled Major League Baseball. Federal Baseball Club v. National League established that the two major leagues were not subject to the Sherman Antitrust Act. And therefore free to determine membership in their own closed organization, which did not include any of the Federal League clubs or owners. Any attempt to retroactively declare the Federal League a "major league" fifty years after it folded is an attempt to re-write the historical record. It requires us to ignore actual history, facts, and legal precedent, all out of a well-meaning sense of sentiment. And I know how you personally feel about that. You are mixing up two unrelated things. The Federal Baseball suit had to do with whether baseball constituted interstate commerce. The Court ruled (absurdly) that it does not, and so the American and National Leagues were not in violation of the Sherman Anti-Trust Act for their efforts to put the Federal League out of business. The case had nothing to do with the statistics of the Federal League. Whether that league (or any other league) counts as major-league is not a question of law; it is a matter to be decided by the official statisticians of Major League Baseball. And their word on this is clear: the 1914 and 1915 seasons of the Federal League have always counted as major-league play. This has been easily verifiable by any member of the public since 1969, when the first edition of The Baseball Encyclopedia, the official compendium of stats, was published. Anyone since then can look up the career records of Hal Chase or Joe Tinker or anyone else who played in the Federal League, and find that their Major League totals include their Federal League activity. To add to that, Eddie Plank won his 300th game with St. Louis of the Federal League and that whole season is part of his lifetime record. I'm sure reasonable arguments can be made for and against recognizing the Federal League as a major league. However, since it was recognized as one by the committee as the result of some level of research and that determination hasn't changed, I don't see a basis in this forum to second guess that decision. Federal Baseball Club v. National League was brought by a former Federal League owner when the major leagues refused to compensate him for the loss of his club - other FL owners had been allowed to buy into NL or AL clubs after the Feds folded. And on appeal, the Court of Appeals ruled that baseball's antitrust exemption allowed them to run major league baseball in their own way. I'd hardly call that "unrelated". You may not like it, I may not like it, but the case established among other things Major League Baseball's control and right to set its own standards for entry. And in 1914 and 1915, the Federal League teams did not qualify. Only a half-century later did some writers unrelated to the organization decide to elevate sentiment and re-write history in a way that the original participants would never have recognized. Whether that league (or any other league) counts as major-league is not a question of law; it is a matter to be decided by the official statisticians of Major League Baseball. And their word on this is clear: the 1914 and 1915 seasons of the Federal League have always counted as major-league play. Do you mean Elias? They're a subcontractor. Was the Federal League a Major League? Both articles come down in favor of exclusion - Neyer quite emphatically and Rothe somewhat less so, preferring to say that it's at least as likely they FL was a "high level minor league organization". When the author says "If they Federal League was not a major league" then offers up some middle ground, it seems pretty clear to me the author favors inclusion. I think he's coming down on the side of that middle ground, actually. I would say at the very least if he's arguing for inclusion he's admitting the question isn't settled. He's certainly not a strong counterpoint to Neyer's certain and emphatic argument. But neither of us can speak for Rothe, so perhaps we can agree to disagree on that point. The business war between the people in (what was then called) Organised Baseball and the Federal League owners is indeed unrelated to how the stats are regarded. The National League was at war with the American Association in the latter decades of the 19th Century; and both of these leagues were at war with the Players' League. And, of course, the National League was at war with the American League for a few years after the American League attained major-league status in 1901; the two leagues raided each other's rosters regularly until peace was reached in 1903. Yet all of them count as major leagues. And likewise with the Federal League. It was first published in 1969. More than half a century after the league folded. Which was the first time the Federal League was considered a major league by anyone who didn't have a financial stake in the question. If that's not "retroactive," then the word loses all meaning. The year 1969 is when the publicly-available statistical compendium was first published. But that just formalised what was already a commonly held position. The Sporting News's annual Baseball Register counted Federal League stats from its very beginning in 1940. Also, the 1916 edition of the Reach Official American League Base Ball Guide, a yearly voluminous recap of the previous year's events not only in the American League but throughout the major leagues (then spelt without capital letters), placed the previous year's events in the Federal League alongside those of the American League and National League. 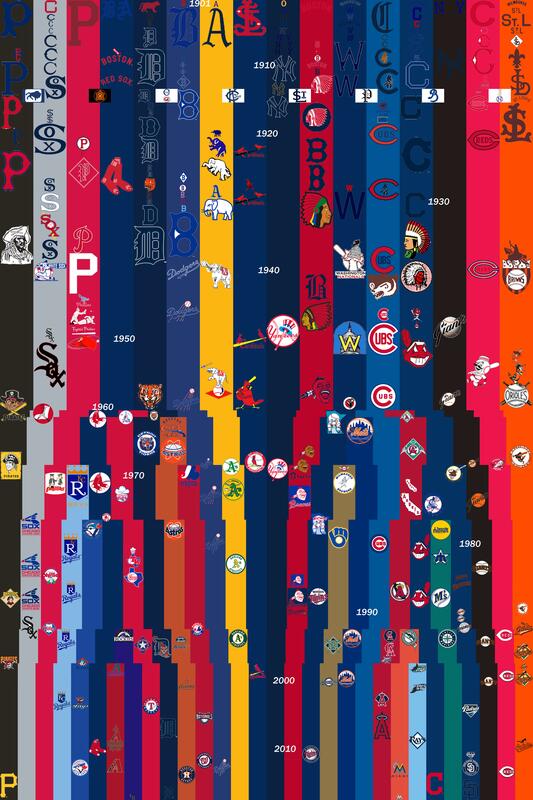 A typical sentence: "The longest major league games of 1915 were 19 innings in the National League and American League, and 16 innings in the Federal League." The point is that the status of the Federal League as a major league was, contrary to your assertion, not something that was arbitrarily decided upon at some date decades after the league had folded. In fact, the Federal League had been regarded as a major league by contemporary perspective, and was so regarded continuously, through the publication of the first public record book in 1969, and down to the present. No, it really wasn't. The majors certainly didn't consider the Federal League to be a major league at the time. A link to the 1914 and 1915 versions is below. Page 18 of the 1915 version includes a quote very similar to what @Ferdinand Cesarano posted, only referring to strikeouts. Page 138 lists a Federal League no-hitter under the heading "Major League No-Hit Games." Page 360 refers to Federal League's 1914 season as the "first race of that organization as a major league on an independent basis."